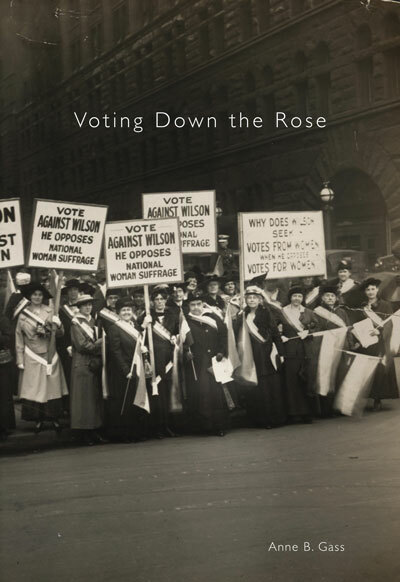 Voting Down the Rose is a lively account of Maine native Florence Brooks Whitehouse’s efforts to win women voting rights in the decisive final years of the campaign, 1914-1920. Considered radical for picketing the White House, Florence helped win women suffrage against a backdrop of conservative views of women’s roles, political intrigues, WWI, and the 1918 influenza epidemic. ANNE B. GASS is Florence Brooks Whitehouse’s great-granddaughter. In her business, ABG Consulting, she works with nonprofits and local and state government agencies on issues such as homelessness and affordable housing. Her article, “Florence Brooks Whitehouse and Maine’s Vote to Ratify Women’s Suffrage in 1919,” was published in the Maine History Journal in 2012.